Isn’t that sweet of her? I mean, it’s only a dime, but still. This entry was posted in Furbabies and tagged Izzy by livinglikelinds. Bookmark the permalink. Haha! How did that get in there? Btw I love her. I ❤ her. 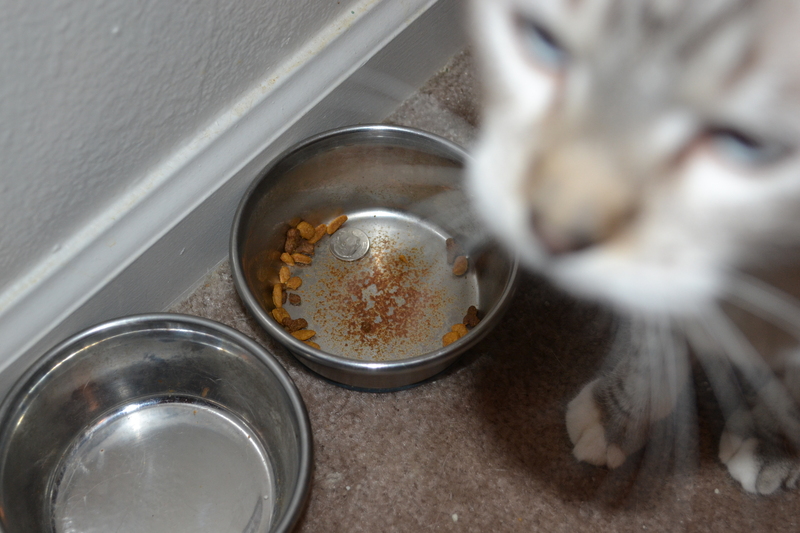 Anything she "catches" she always puts in her food dish for us to find when we get home (typically, it's my socks). We have a big change fishbowl, and it cracked recently, so every now and then, a coin slips through. We're replacing it though, so she doesn't eat them!! 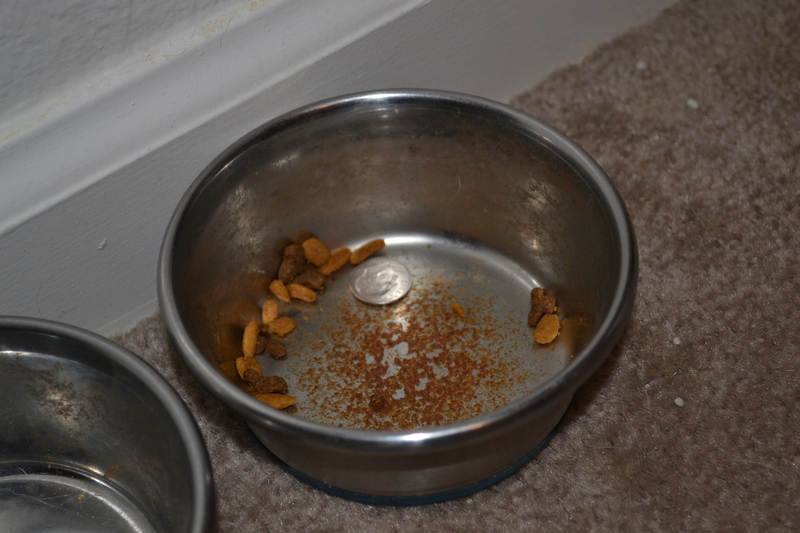 My cat would have eaten the dime and I would have found it in the litter box. Your cat is quite the kind one. Yeah, I’m thankful she didn’t eat it!! She tends to not eat much, thankfully. Mom, we need another cat! That is so nice of her 🙂 Sounds like she has quite the personality. Surprised you don’t feed your cat the “Paleo” version for cats? Kibble is boxed pre-made and not natural for cats and dogs. Have you looked into Raw natural /nature’s food for your beloved cat?